DPRK condemns South Korean "anti-DPRK policy"
PYONGYANG, June 25 -- The Democratic People's Republic of Korea (DPRK) accused the South Korean authorities Saturday of maintaining an anti-DPRK policy, the official KCNA news agency reported. The South Korean authorities' persistence in maintaining an anti-DPRK policy "on the brink of total failure" convinced the South Koreans and the world there was nothing to expect from them, said a spokesman of the Committee for the Peaceful Reunification of Korea. Isolated and driven into a corner internally and externally, the South Korean authorities' confrontation policy had already failed and persistence in it would "only precipitate its downfall," the spokesman said. "Its confrontation moves will further deteriorate north-south relations and, worse still, lead to a war, which may inflict untold calamities upon the nation," he said. The spokesman urged the South Korean authorities to "behave itself, well aware of what its confrontation policy will bring after all." We refer to the mobilization of 70,000 troops for a week of military maneuvers just off the border of the Democratic Peoples Republic of Korea in order to simulate an invasion of the DPRK since November 23. The South Korean puppet forces fired many shells into territorial waters of the DPRK on November 23 at 1:00 p.m. Only after an hour and a half later did the DPRK retaliate in self-defense by firing shells at the Yonphyong Islet held by South Korea. The South Korean puppet forces have made the provocations obviously at the instigation of the US. US officials and mass media have misrepresented the DPRK as the one making the provocations and have quickly beaten the war drums for the deployment of the US forces and weapons of mass destruction against the DPRK. In a far bigger act of war provocation, the US has announced plans to send the nuclear-powered aircraft carrier USS George Washington and its battle group including war ships, destroyers and hundreds of fighter jets into the area to participate in new military exercises to threaten the DPRK. Let us recall that the US military forces have been involved in all the war maneuvers by South Korea, going back to the 1950-53 war, have killed millions of the Korean people and have occupied South Korea since the end of World War II. We demand that the US withdraw its 30,000 troops from South Korea in order to allow the peaceful reunification of Korea and let the Korean people exercise their right to national self-determination. We demand that immediately the US and South Korea stop their war maneuvers and exercises against the DPRK. They must remove their war ships from the territorial waters of the DPRK. The US must end the sanctions it has instigated against the DPRK. Long live the Democratic People’s Republic of Korea! Down with US imperialism and its South Korean puppets! Long live the Korean people of both north and south! The National Democratic Front of the Philippines (NDFP), including the Communist Party of the Philippines, the New People’s Army and 15 other allied revolutionary organizations, extends its most heartfelt congratulations to you and the heroic people of the Democratic People’s Republic of Korea (DPRK) on the auspicious occasion of the 60th founding anniversary of the DPRK. * Proclaiming the foundation of the Democratic People’s Republic of Korea on September 9, 1948. 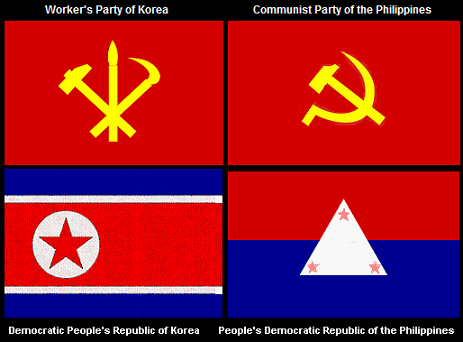 The Filipino people who have been waging a 40-year-old armed revolutionary struggle against US imperialism and local reactionaries, to achieve national sovereignty and genuine democracy, join you in celebrating the great historical event of the Founding of the Democratic People’s Republic of Korea. The NDFP congratulates you, the Workers’ Party of Korea and the people of the DPRK for defeating the war of aggression of US imperialism and firmly upholding and defending your national sovereignty and territorial integrity against numerous malicious schemes of US imperialism and its cohorts. 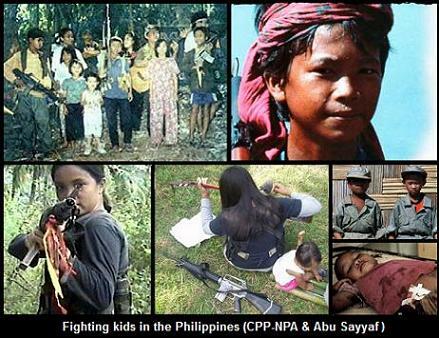 At a time when the world’s peoples valiantly struggle against the imperialist wars of aggression and plunder, the firm and unwavering stand of the DPRK to uphold and defend its national sovereignty is a source of inspiration to the revolutionary and anti-imperialist forces in the Philippines and throughout the world. Long live the great legacy and indelible memory of Comrade Kim Il Sung! Long live the international solidarity of the world’s peoples! 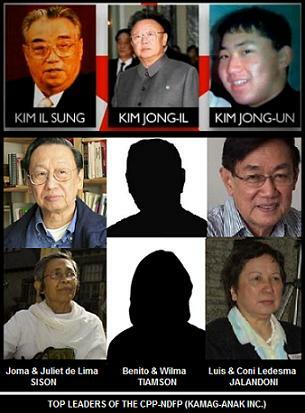 MAKIBAKA, a revolutionary organization of Filipino women and an allied organization in the National Democratic Front of the Philippines (NDFP), extends warmest birthday greetings to Comrade Kim Jong Il, General Secretary of the Workers’ Party of Korea and Chairman of the National Defense Commission of the Democratic Peoples’ Republic of Korea. From his early years, Comrade Kim Jong Il has been involved in revolutionary work to build and strengthen the Democratic People’s Republic of Korea. 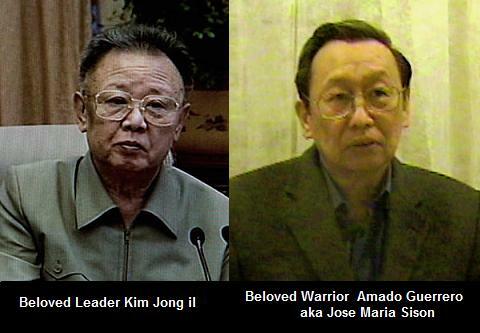 He took over the reins of government after the death of his father, Kim Il Sung. Under his leadership, the Korean people have continued to build Korea as a strong nation, uphold and defend its independence and sovereignty, overcome natural disasters and persevere in building socialism. He has earned the love and respect of the Korean people because of his continued efforts to safeguard the gains of the revolution and build a better world for them. His untiring efforts at working for the peaceful reunification of Korea answer the long cherished dream of the Korean people. The Korean women appreciate the achievements of their nation under the leadership of Comrade Kim Jong Il. We wish Comrade Kim Jong Il many more fruitful years of service to the people. Long live Comrade Kim Jong Il! Long live the Korean People! 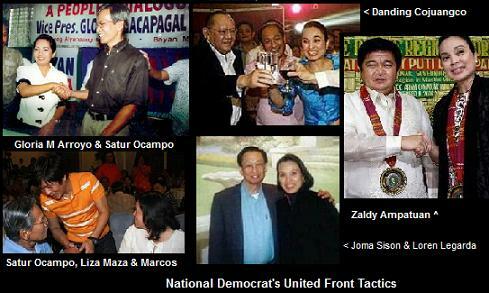 Long live the solidarity between the Filipino people and Korean people! 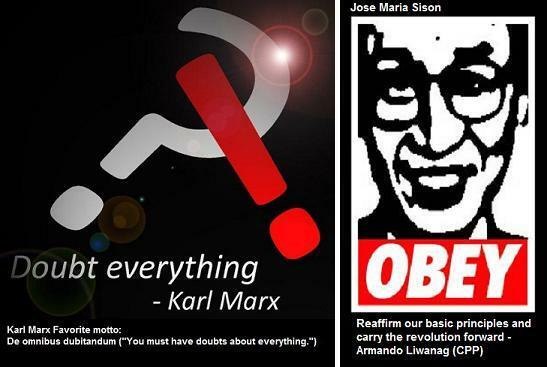 “The Filipino people and their revolutionary movement regard the DPRK nuclear test as a significant positive development in the effort of freedom-loving peoples the world over to challenge the US imposition of Pax Americana over the world, break the US and other big imperialist powers’ monopoly over nuclear weapons, and compel the world’s peoples to kneel before its hegemonic power,” said CPP spokesperson Gregorio “Ka Roger” Rosal. “Now, in the face of the DPRK's advance in scientific and technical knowhow with nuclear power, the US is significantly deterred from threatening and carrying out military strikes against the DPRK. The US is afraid that it can no longer try to bully the DPRK,” said Rosal. With the success of its first-ever nuclear weapons test, North Korea becomes the ninth country in the world to have nuclear weapons, along with the United States, Russia, France, China, Britain, India, Pakistan and Israel. “Of course, US imperialism and other imperialist powers and their client states will condemn the DPRK’s nuclear breakthrough which broke their monopoly of nuclear weapons and confronts the imperialist-imposed pacifism that oppress and cause great hardships on the countries and peoples of the world,” said Rosal. The CPP also regard the development of the DPRK's nuclear capability as an important breakthrough in fulfilling its energy requirements and further boosting its economic potential, aside from developing its capability to defend its national sovereignty. “Contrary to imperialist propaganda, the strengthening of the nuclear capability of the DPRK does not pose a threat to other nations' sovereignty and to genuine world peace. In the past, the DPRK has shown respect for the independence of other countries in the same way that it wants the US to respect the sovereign will of the DPRK. The development of nuclear capability in the hands of independent countries that persist in the fight against US hegemonism and aggression realistically deters the US from using its nuclear weapons and military might to attack these countries, and is thus a positive factor in our common striving for genuine peace in the world,” added Rosal. On behalf of the 17 revolutionary allied organizations of the National Democratic Front of the Philippines (NDFP) and the Filipino people, the NDFP extends its warmest comradely greetings to Comrade Kim Jong Il, General Secretary of the Workers’ Party of Korea and Chairman of the National Defense Commission of the Democratic People’s Republic of Korea on the occasion of his birth anniversary on 16th February. Born amid the flames of the struggle against the Japanese war of aggression and occupation, Comrade Kim Jong Il grew in an environment of intense struggle against imperialism and during the great undertaking of constructing socialism in his beloved Korea. Armed with the correct ideological and political principles, he has helped develop and strengthen the Workers’ Party of Korea and the Korean People's Army into a force that is ever-ready and capable to defeat any enemy that would attack and invade Korea and seek to reverse the victories of the Korean people. Comrade Kim Jong Il’s trust in the Korean people has forged unity among the Party, the People’s Army and the Korean people. This unity continues to be an invincible force in facing the imperialist enemy and overcoming the effects of natural disasters. Amidst the onslaught of political, economic and military attacks and threats of US imperialism, the Korean people, under the leadership of Comrade Kim Jong Il, have time and again defended Korea’s independence and national sovereignty. Not only have they determinedly countered these attacks and threats, they have defended the gains that the people and the Party won in their struggle against imperialism and reaction. The struggle of the Korean people, like the struggle of the Filipino people, against imperialism is part of an ever-growing and intensifying international fight against imperialism and reaction. With every victory of the people, the enemy is weakened and international solidarity is forged and strengthened. We join Comrade Kim Jong Il and the Korean people in their fervent aspiration for the peaceful reunification of their country under the banner of independence, peace and national unity. 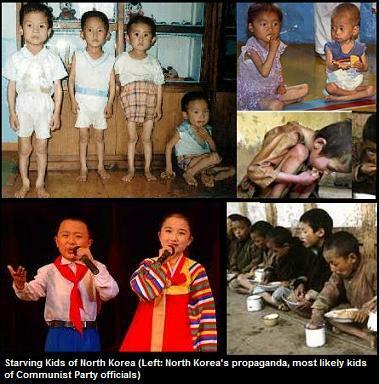 Footage shot inside North Korea has revealed that the country could be on the verge of a famine, showing filthy, homeless and orphaned children begging for scraps and soldiers stealing food from rice sellers. The video was shot over several months by an undercover North Korean journalist who smuggled the footage out to China and could face the death penalty. It was obtained by Australian Broadcasting Corp this week. In the video, young children blackened with dirt beg for food, including an eight-year-old boy who tells the reporter, “My father died and my mother left me. I sleep outdoors.” The boy is one of many orphans in the country whose parents died of starvation or in forced labor camps. The army, too, is starting to go hungry, with one soldier saying that he estimates half of of the soldiers are malnourished. The state no longer has any rations to give them. In the video, a party official demands a donation of rice from a stallholder, who protests that his business is bad. ABC speculates that the fact that the even the army is starving shows that Kim Jong-il could be losing his grip. The rampant corruption in the country also becomes apparent in footage of North Koreans toiling over a private railway track for Kim Jong-un, son of the country’s leader Kim Jong-il and the heir apparent. Soon, 27-year-old Jong-un may be presiding over a country of starving serfs. 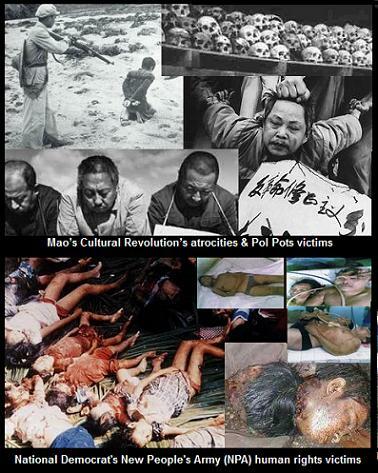 North Korea had a famine in the late 1990s that killed 2 million people, according to ABC.